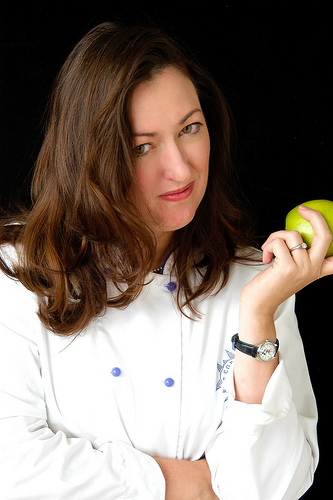 Foodista | IFBC SaMo Speaker Announced: Kathleen Flinn! We could not be happier to have Kathleen Flinn as moderator of the 'Pitching Blog to Book' session at IFBC Santa Monica! Kathleen is a Seattle-based journalist, food writer and sometimes teacher; her first book The Sharper your Knife, the Less You Cry examines Paris’ renowned Le Cordon Bleu. She presently serves as the chair of the Food Writers, Editors & Publishers section of the International Association of Culinary Professionals. She’s also a member of the American Society of Journalists & Authors, Society of Professional Journalists and the Author’s Guild.